Are you thinking about tackling living room interior design for your next DIY project? The average homeowner spends around $5,000 when they hire an interior designer. That’s a big chunk of change you can save by doing-it-yourself. However, the reason they pay a large amount of money for interior design services is because it’s complicated. 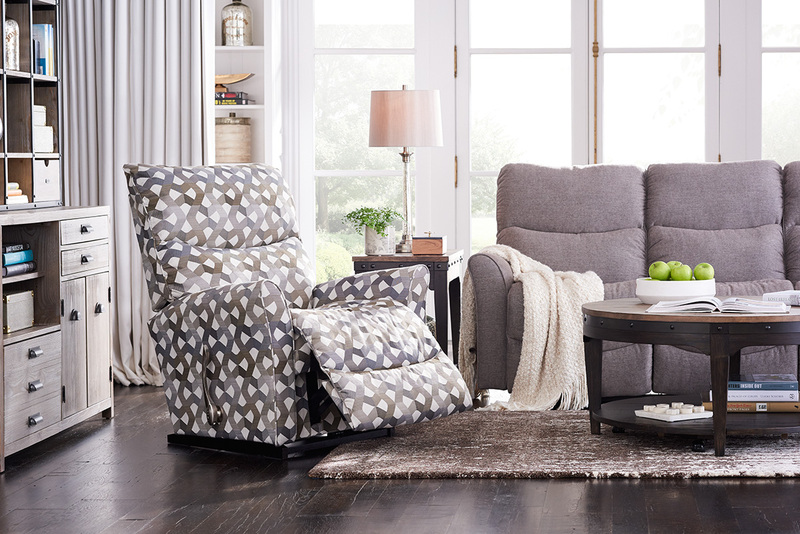 You’ll have to choose from a wide variety of styles, upholstery, and accessories. Plus, you’ll have to work within your living room’s particular dimensions and unique design features. 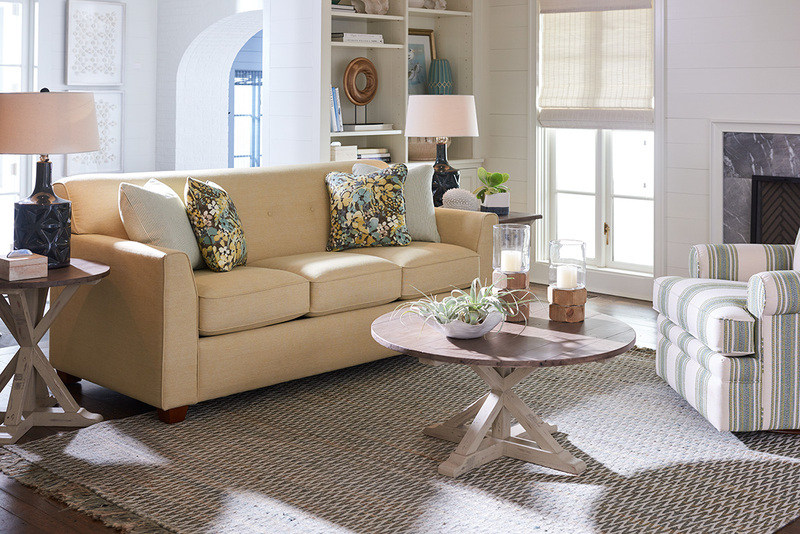 At La-Z-Boy Home Furnishings & Décor, we think styling your home should be fun and easy. That’s why we created this do-it-yourself guide to living room interior design. Ch. 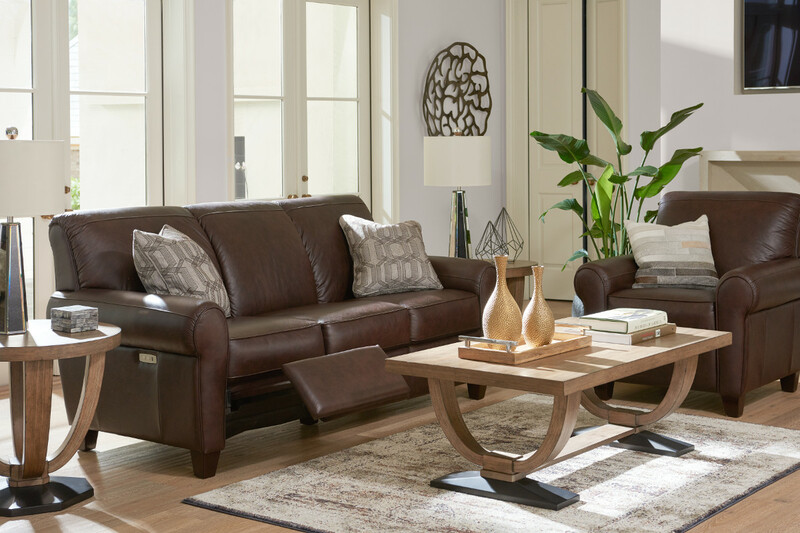 3) Leather Furniture vs Fabric Furniture: Which is Better? Watching home design shows on HGTV. Following this list of the best interior design accounts on Instagram. Paying attention to the styles & designs you’re drawn to throughout the day. It’s also helpful to make a list of things you like and don’t like. Simply write down the colors, styles, and accessories that catch your eye throughout the day. More importantly, pay attention to what you don’t like so you won’t make the same mistakes. What’s your living room used for? On average, how many people does the room need to seat? Knowing the answers to these questions will ensure your living room functions for all of the activities you and your guests will enjoy. 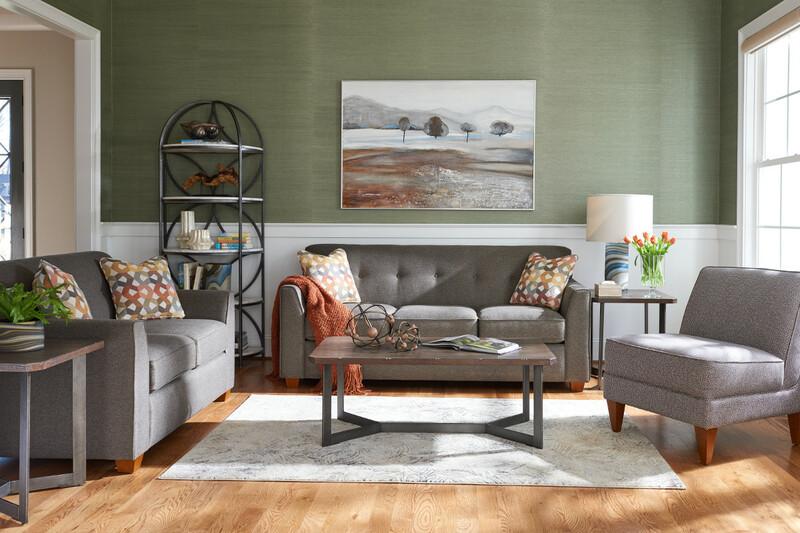 You can download our Pre-Design Checklist to answer these questions and get your living room prepared for its new look. Now that you’re inspired and have answered some basic questions about your living room, let’s take a look at the furniture you already own. Some people are starting fresh with a brand new empty space. Others will have items they want to incorporate into their new room. Repurposing items with a deep meaning in your life is a great way to add a personal touch to your living room. For example, your grandmother’s sewing machine or your grandfather’s record player. You can also repurpose your current sofa, sectional, etc. if it’s in good shape and matches the style you’re going for. The biggest problem with repurposing old furniture is finding new items that work with the room. But it’s not impossible. 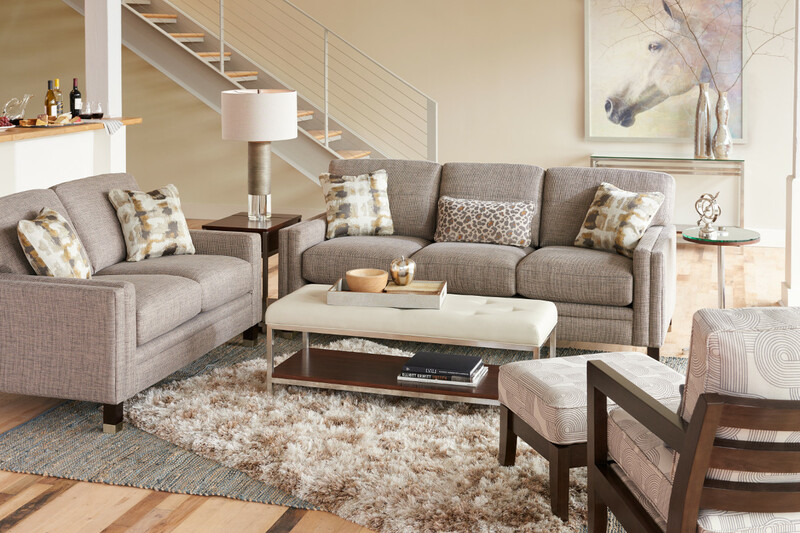 In order to plan your furniture layout, you’ll need to observe the traffic patterns and flow of your living room. How do people make their way through the room and to where they’re sitting? You may have to imagine the room differently than you did at first. This is a good time to get someone else’s opinion and insight into the flow of the room. 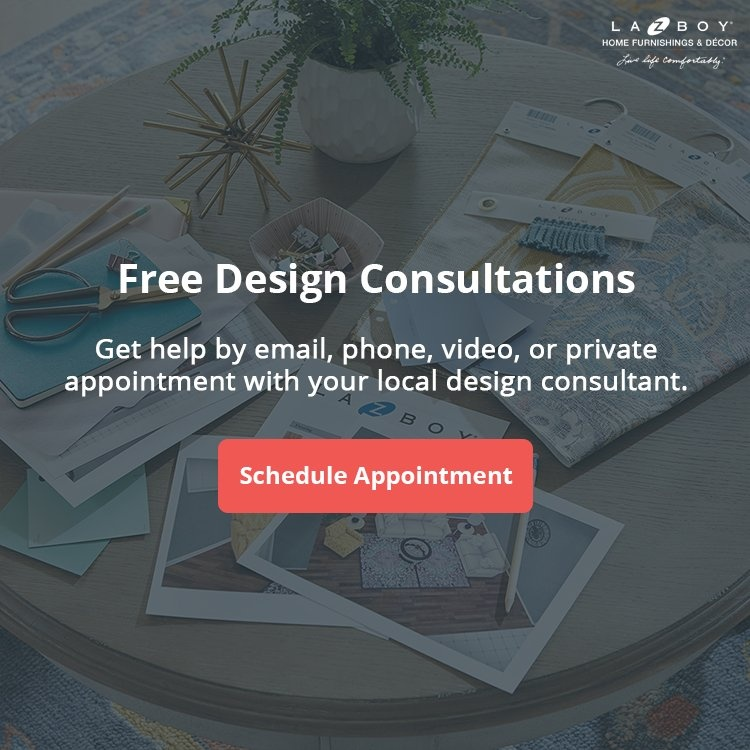 At La-Z-Boy Southeast, you can meet with a degreed interior designer for free and they’ll help you map out your traffic patterns. 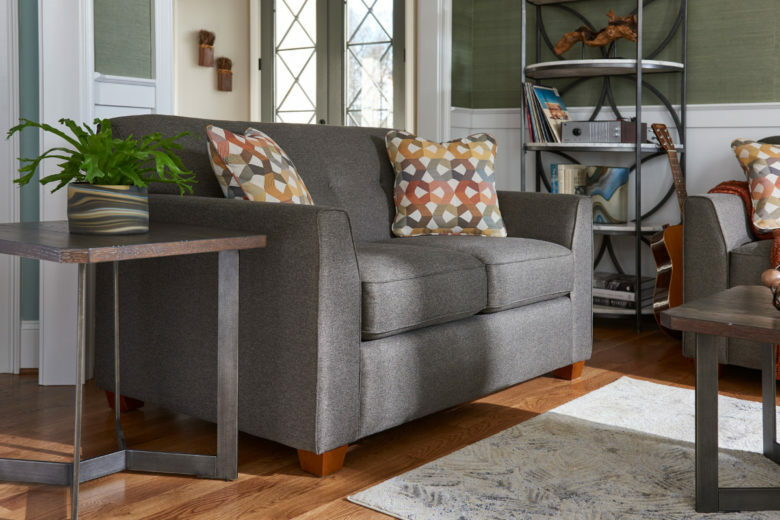 This free service is proudly offered at all of our locations in NC, SC, and GA.
Next, measure your living room and sketch the dimensions of your living room. Your sketches don’t have to be perfect, but they need to give you an idea of the room layout. Taking pictures of the room on your cell phone is also helpful. This way you’ll have pictures to reference while you’re out shopping. Your room measurements and sketches will tell you a rough estimate of what will fit in your space. However, a 3D room plan will show you exactly how your furniture will fill your space. If you live in GA, NC, or SC – you can receive a 3D room plan for free when you work with one of our degreed interior designers. Shopping for furniture online is becoming a popular option for some people. But if you make the wrong decision for your living room, you could be stuck with a costly mistake. You’re unable to try the furniture before you buy it. Unable to deal with a real person. Miss out on available options. Difficult to receive guidance from an interior designer. Visiting a local furniture store removes these problems and will keep you from buying the wrong furniture for your room. Now that you’ve done all of the preparation work for your new living room, it’s time for the fun part. Picking out your new furniture and accessories is always a good time. 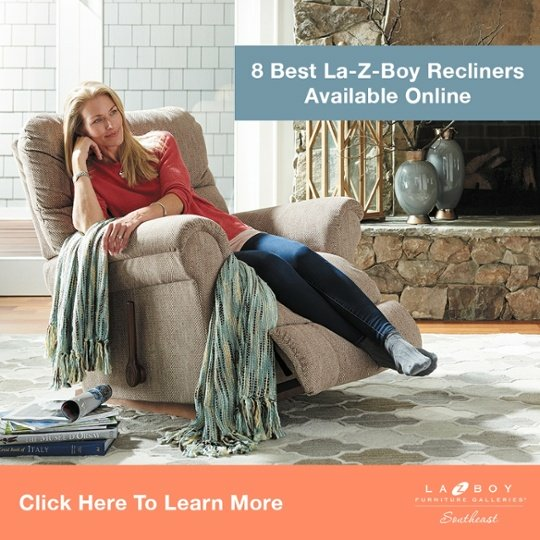 At La-Z-Boy Home Furnishings & Décor, we make furniture shopping fun and easy. Plus, our degreed interior designers have completed thousands of projects for our clients. In the video below, our team of designers presents their top five favorite interior design tips for your living room. 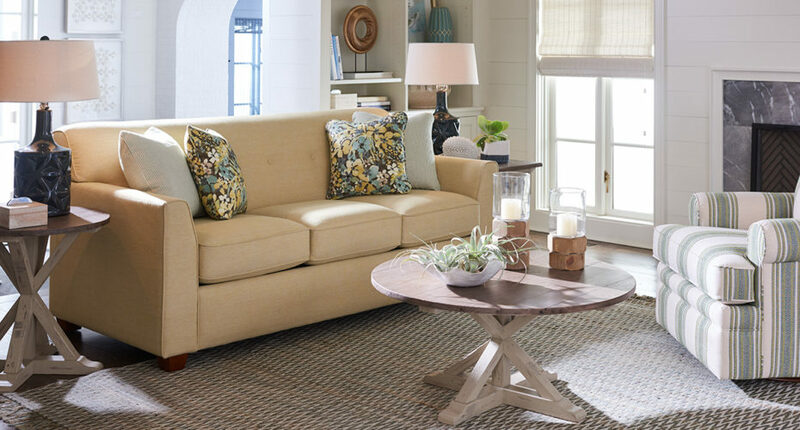 You should always think about covering your biggest pieces of furniture in a neutral fabric. 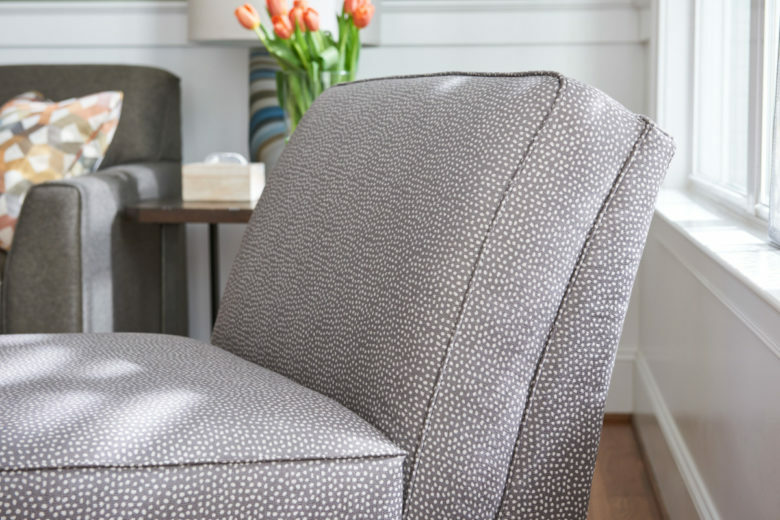 Neutral fabrics can be paired with a wide range of colors and designs. This way you can change out your accent pillows or other accessories without having to redo the entire room. Always make sure you’re using scale and proportion with every item in the room. Especially your area rug. 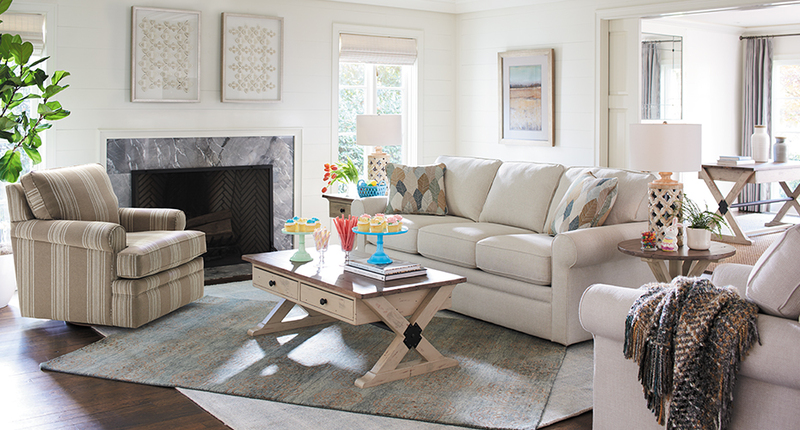 If your sofa and chairs float in the middle of the room, then your rug should fit underneath the legs of each piece. Look at the entire floor plan as a whole and take that into consideration when choosing the size of your rug. Accessories bring your room to life and can be the perfect conversational piece. These items also express your personality and the things you love. Be sure to pick items that bring a smile to your face when you see them. It’s much easier to match your paint to your fabrics. 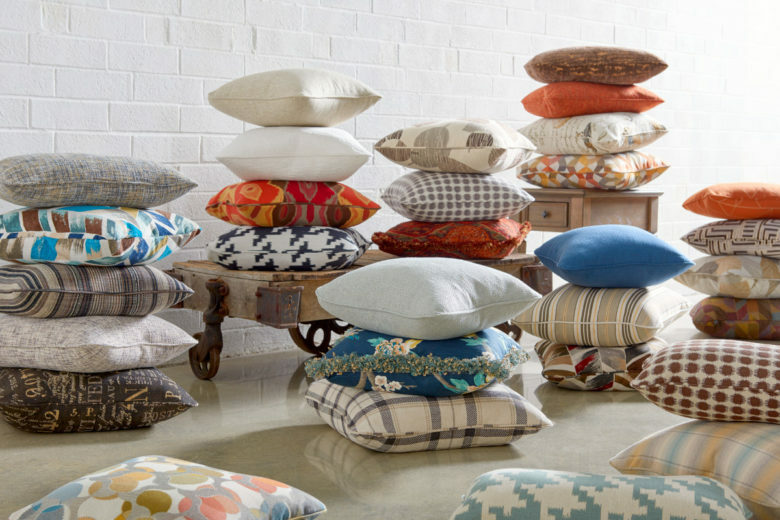 You’ll find hundreds of fabric options. But there are a near infinite amount of paints to choose from. This is why it’s a good idea to pick your fabric before you pick your paint. You can create a different type of atmosphere by adding multiple layers of light to each room. This way you can set the mood based on how you’re feeling or what you’re doing. You’ll also notice your fabrics will look different based on the type of lighting in your room. 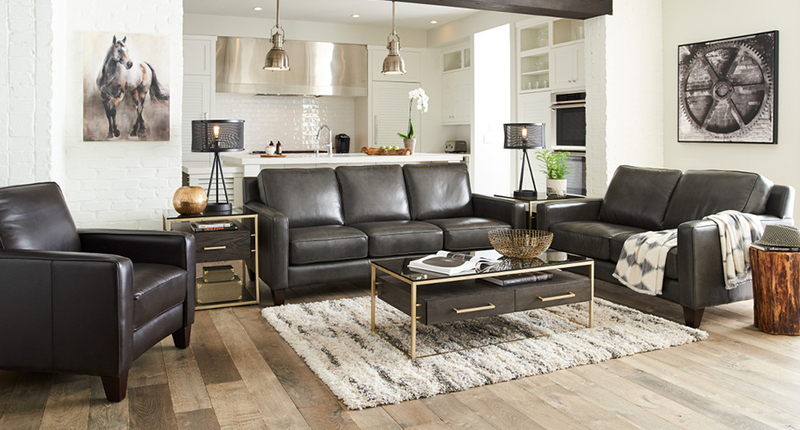 Leather furniture and fabric furniture will both look and feel great in your living room. Plus, they come in a wide range of colors and patterns to fit the style you’re going for. Living room furniture tends to take a beating. So when it comes to deciding which one is better, most people focus on durability. Leather and synthetic microfiber are extremely durable. Before you buy cotton or linen fabric, make sure the weave is wound very tight. What’s the Best Furniture for Pets? If you’re a pet-owner or plan on having pets in your living room, you’ll want them to be as comfortable as you are. However, you don’t want them to tear up your brand new furniture. 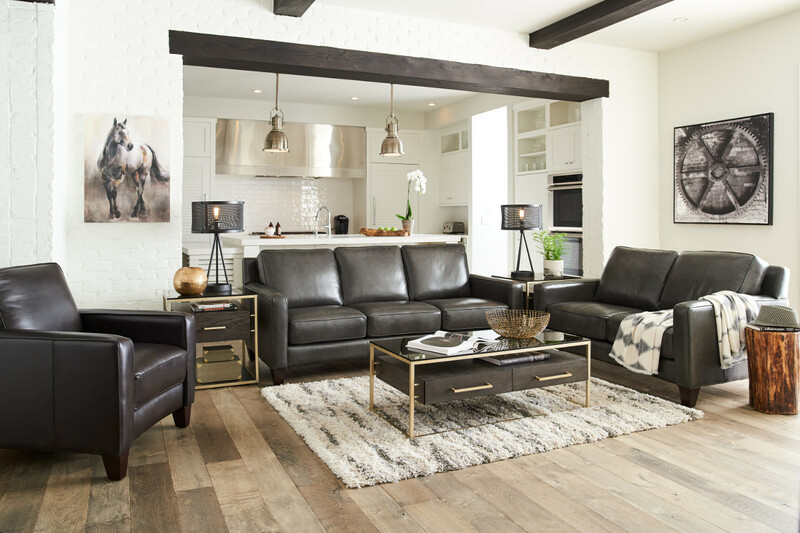 Authentic leather furniture is durable, easy-to-clean, and the overall best furniture for pets. Faux or recycled leather is much thinner and more likely to scratch or puncture. Synthetic microfiber furniture is another good choice. Pet owners typically choose microfiber over leather because it’s cheaper and doesn’t leave scratches from sharp claws. Simply send a picture of the damage with your claim and your furniture will be fixed or replaced free of charge. Shopping for furniture doesn’t have to be boring and complicated. 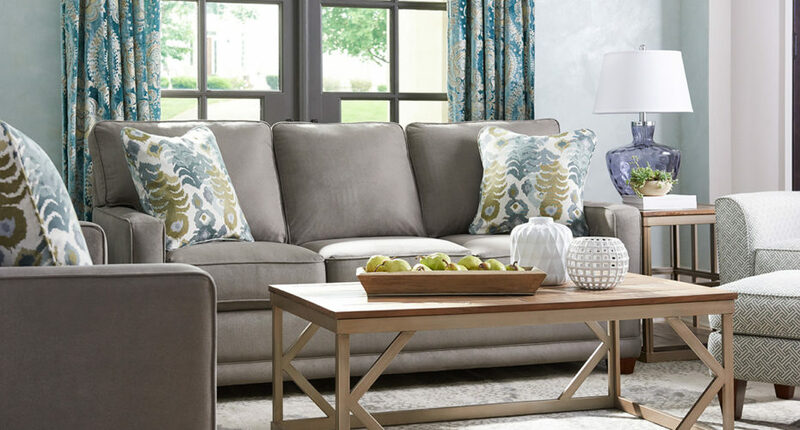 At La-Z-Boy Home Furnishings & Décor, we think furniture shopping should always be fun and easy. 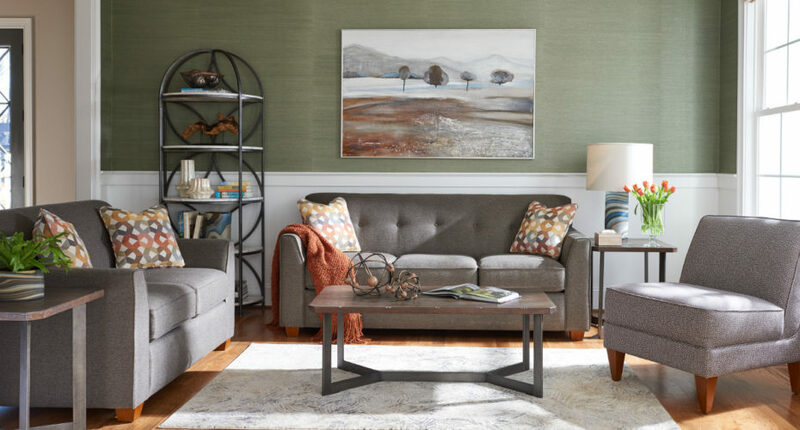 That’s why we put together this free Furniture Buying Guide equipped with everything you need to know before you buy furniture. 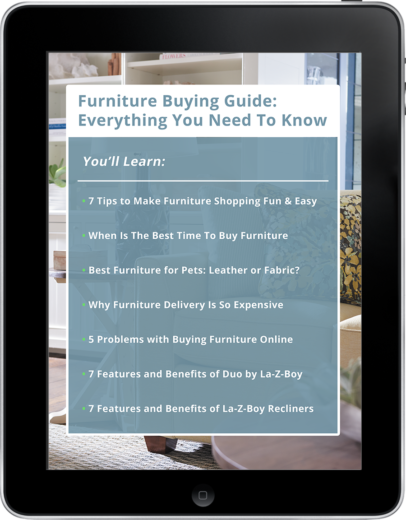 Click here to download your Furniture Buying Guide for free! Why Is Furniture Delivery So Expensive? When you prepare to checkout you might be surprised to see a fee of $100 or more for furniture delivery. With more and more companies offering free shipping, most people are reluctant to pay for delivery. 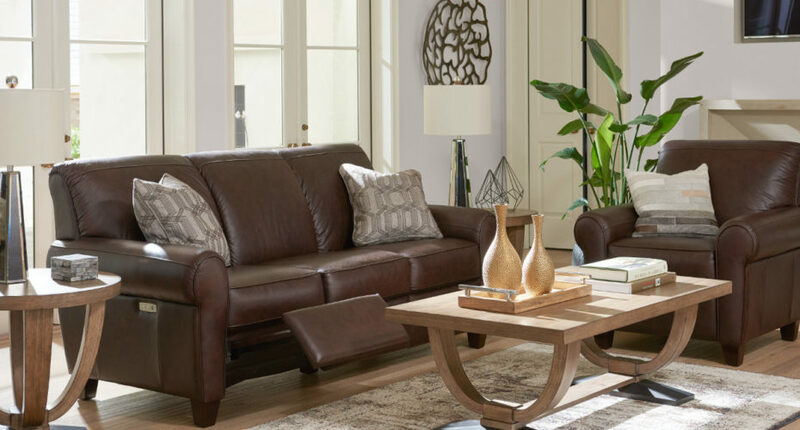 At La-Z-Boy Home Furnishings & Décor, we realized our customers don’t mind paying for furniture delivery once they understand everything that comes with it. That’s why we created this video showcasing our top-of-the-line delivery team and everything they do for your brand new furniture. 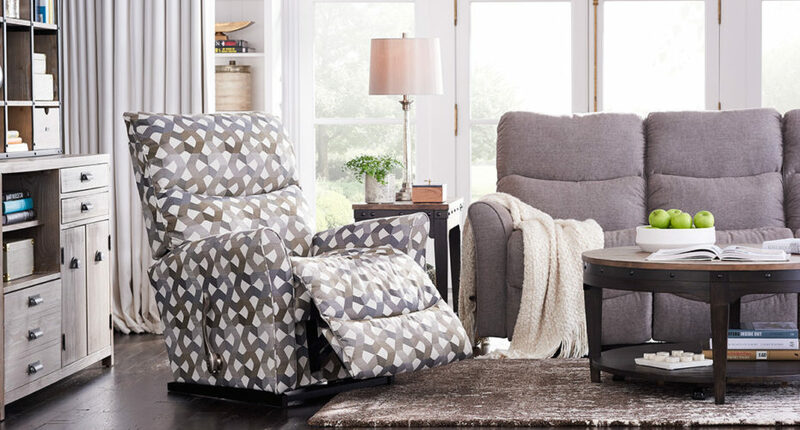 With free furniture delivery, all of these factors are up in the air. 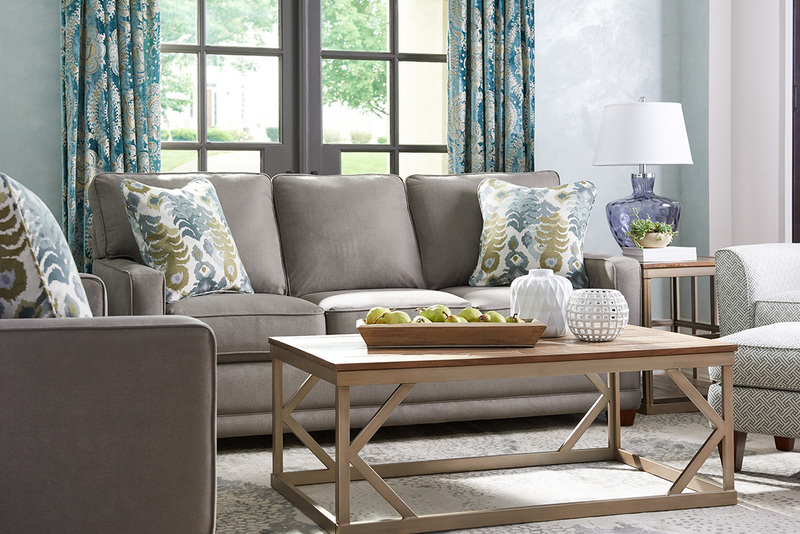 Accessorizing puts the cherry on top of your new living room. Professional interior designers follow the rule of odd numbers because grouping items in odd numbers looks more natural and appealing to the eye. Even numbers of items can cause your room to look uninviting because of the large amount of symmetry. However, mixing even numbers and odd numbers will create an inviting balance for guests when they enter your room. At La-Z-Boy Southeast, our degreed interior designers use the rule of odd numbers in every project they work on. In the video below, Ellie and Sammy share how you can use the rule of odd numbers in your home. 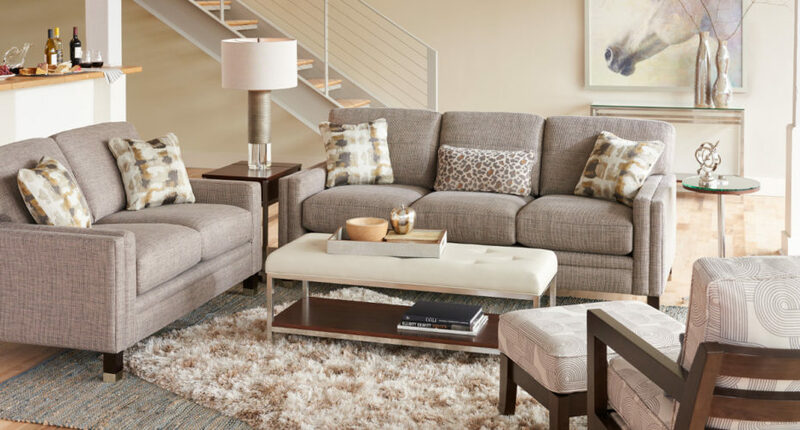 We hope this guide gives you everything you need to fill your living room with furniture and accessories you love. Doing-it-yourself will save a bunch of money and it can be a lot of fun. 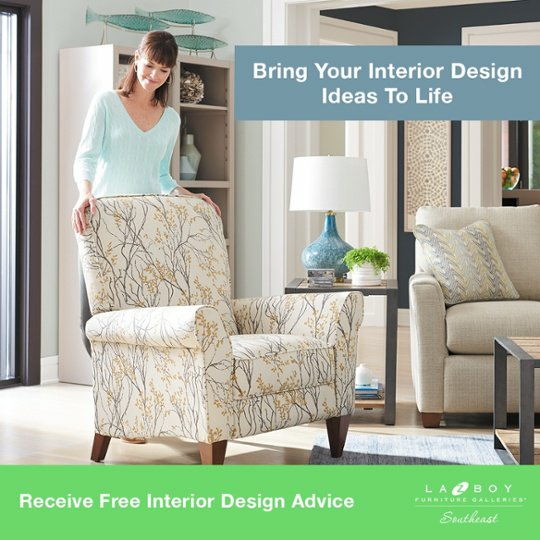 If you’d like some help or a second opinion on something, visit your local La-Z-Boy Home Furnishings & Décor and you can meet with a degreed interior designer for free. We’ve helped thousands of homeowners complete their interior design projects, and we’d be happy to help you too.